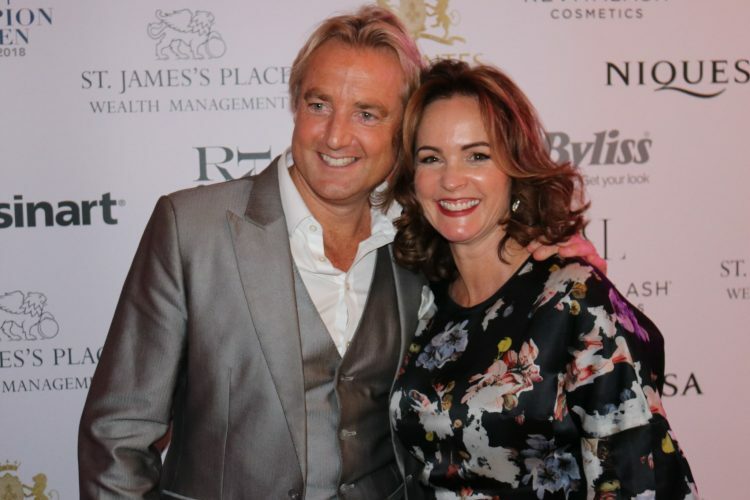 Women supporting women came together at London’s Sheraton Grand Hotel in Park Lane for the UK Champion of Women Awards; in celebration of some of the greatest among the UK’s female influencers, raising much-needed funds for Maggie’s Cancer Centres** around the UK. And, there was me. I was the MC and, of course, it wouldn’t be right without a performance by Incognito Artists to get these superstars up on their feet to celebrate their successful achievements. It was a tough gig but somebody had to do it! It was an honour to be asked to host/MC and perform at these Awards and my take-home from the event was the genuine support and comradery amongst nominees, winners, and guests. The love and appreciation in the room was palpable – and, perhaps, felt also like a sisterhood galvanized by recent polarizing events in the US. One of Maggie’s ambassadors, English television and media personality, Georgia Toffolo, was well-spoken and passionate about supporting Maggie’s. A woman famous for her participation in two of the UK’s most watched reality TV shows could not be dismissed by naysayers as a celebrity wannabe, just pursuing millions of followers on social media due to her reality TV exploits. I found her to be yet another formidable role model in the room for my impressionable teenage daughters (who, admittedly, are influenced by our current society’s obsession with reality TV personalities, potentially over and above achievers of significant substance). I was blown away by the powerful, influential, brave examples of women who dared to dream and do what was necessary to make their dreams a thriving reality; for the benefit of others, not only themselves. I may not be the best at pronouncing names, and subtle I am not, but I hope that a lot of enthusiasm, a huge amount of heart, and a large dose of inimitable spirit made a difference to those extraordinary, inspiring women in that room. It was certainly Incognito Artists’ privilege and pleasure to be included in their much-deserved celebrations. **Maggie’s provides free practical, emotional and social support to people with cancer and their family and friends, following the ideas about cancer care originally laid out by Maggie Keswick Jencks. Built in the grounds of NHS cancer hospitals, Maggie’s Centres are places with professional staff on hand to offer the support people need. The Centres are places to find practical advice about benefits and eating well; places where qualified experts provide emotional support; places to meet other people; places where you can simply sit quietly with a cup of tea. The first Maggie’s Centre opened in Edinburgh in 1996 and since then, Maggie’s has continued to grow with 20 Centres at major NHS cancer hospitals in the UK and abroad. Maggie’s also has an Online Centre.